When my husband and I attend parties and people discover he has been an exterminator for 37 years in the Denver area, they are first fascinated by the topic, and then enthralled by his stories. No one can tell a story like Tom. Like the time he cornered a very large rat in an ancient basement under some old buildings in LoDo. The rat drew itself up to full height, flashed its substantial teeth, and belted out a deafening high-pitched screech. Yes, Tom high-tailed it out of there. Some places become so infested with cockroaches that when he starts the treatment, the cockroaches literally shower down from the ceiling. Tom says it sounds like rain. Or the time he was doing a pigeon job in Larimer Square, when some construction was going on. The pigeons were picking up nails in their beaks, landing on the tall buildings, and then dropping nails on the pedestrians below. Once he was spraying a house for spiders and had to crawl under the house. When he came out of the crawl space, he was covered in Black Widow Spiders. 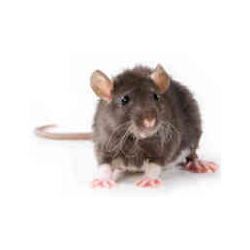 Several times he has observed residents with pet rats. They love these little pets so much that they let them wander freely. When that happens in an apartment building, the neighbors better watch out! What entertaining stories he has. We love to listen but get the creeps at the same time. Stay tuned for more adventures in pest control.